Your experiences can change gene expression for your descendants. Is “epigenetics” an opportunity or a curse? 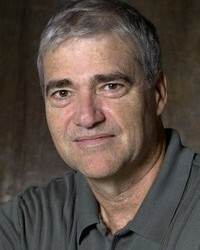 Dr. Peter Ward, University of Washington on his new book “Lamarck’s Revenge”. Plus the most moving climate speech 2018, Canadian Green Party Leader Elizabeth May speaks to Parliament. Long-time Radio Ecoshock listeners will remember several previous interviews with University of Washington Professor Peter Ward. We talked about the causes of past mass extinctions, about climate change in the deep past and near future, about sea level rise, and even his theory that life may have suicidal tendencies. But now Peter is back with something completely different and unfamiliar to the public: epigenetics. This could change everything. Peter’s new book is “Lamarck’s Revenge: How Epigenetics Is Revolutionizing Our Understanding of Evolution’s Past and Present“. Here is my layman’s understanding of epigenetics. We have complex DNA that we inherit from our parents. There are many “choices” in those genes – so that we may develop different body parts from the original pattern. We know that certain chemicals or radiation can damage the genes, likely causing illness. With radiation damage, some genetic damage can be passed on to subsequent generations. But during a normal life, events we experience can also call up various parts from the genetic tool-kit we inherited. We call it “genetic expression”. That is well known. More and more science shows those changes caused by our life experiences CAN be transmitted to our children or grandchildren. Since Darwin’s theory of natural selection, the idea of transmissible changes due to life experiences has been scientific heresy. Evolution, operating slowly through natural selection was the only way. Now, without invalidating Darwin, we find there is another way heritable changes can work. That is epigenetics. The basic idea was first proposed decades before Darwin, by the French naturalist Jean-Baptiste Lamark. That is why Peter Ward’s new book about epigenetics is called “Lamarck’s Revenge”. In just one example, consider this: we know that if our children see violence in the home, they may grow up to become violent themselves. But what if the father or mother is secretly violent in another setting. Obviously the kids will be fine. But maybe not, says Ward. Studies point to the possibility that a trait like violence can be passed through to children – even if they never meet their mother or father. That throws a whole new light on our personal responsibility. Any severe life experience, like a near-death event, may also change what we pass on. Also, we almost automatically assume that the woman’s experiences while carrying a baby, say if drinking alcohol, will be the primary driver of problems with off-spring. But Ward explains how MEN are just as responsible for epigenetic changes. I also think this bears on what we can expect in a future under climate change. Consider the hundreds of thousands of people terrified by the California fires (which I will cover in next week’s show). Could that fear end up changing the next generation of Californians? “The Dutch famine of 1944–45 was a rare case of a famine which took place in a modern, developed, and literate country, albeit one suffering under the privations of occupation and war. The well-documented experience has helped scientists to measure the effects of famine on human health. The Dutch Famine Birth Cohort Study, [carried out by health scientists in Amsterdam and Britain], found that the children of pregnant women exposed to famine were more susceptible to diabetes, obesity, cardiovascular disease, microalbuminuria and other health problems. The discovery of the cause of coeliac disease may also be partly attributed to the Dutch famine. With wheat in very short supply there was an improvement at a children’s ward of coeliac patients. Audrey Hepburn spent her childhood in the Netherlands during the famine and despite her later wealth she had lifelong negative medical repercussions. She suffered from anemia, respiratory illnesses, and œdema as a result. Subsequent academic research on the children who were affected in the second trimester of their mother’s pregnancy found an increased incidence of schizophrenia in these children. Also increased among them were the rates of schizotypal personality and neurological defects. That’s just the beginning. There has been a great deal of research since, and Peter Ward plowed through it all, summarizing and documenting his sources. In just one example, from many in the book and in this interview, consider violence. Most of us see enactments of violence in games or entertainment, or we hear about it in the news. Others experience violence first hand. Violence has been part of the human story throughout history. Men in particular seem to have it drilled into our DNA. But can the impact of modern violence, including media violence, be passed on to our children really? In some cases “yes” is what I’m hearing from Peter in this interview. Reading Ward published “Why the Earth Has Fewer Species Than We Think” in the journal Nautilus in August 2018. His conclusions about epigenetic changes sound also almost like a form of heritable Post-Traumatic Stress Disorder. For example, a near-death experience might change things in our bodies, as well as our minds. As a result, those changes may appear in offspring, even if not raised by the parents… this is revolutionary stuff, very different from what society has drilled into us. Ward wonders what would happen if people realize how much we are affecting our kids and grand kids… would we become like a “Puritan” society, very careful of the implications of our actions? That sounds unlikely to me, but we might make some progress as epigenetic reality sinks in. I raise this objection with Dr. Ward. He agreed that would likely be the case. To me, that means epigenetic changes may be heritable, but then revert back to an original genetic state (?) within a few generations. We may not create very long-lived changes to future humans through epigenetics, but even what can happen in one or two generations may be earth-shaking. There are possibilities to cure inheritable diseases, or to create horrible epigenetic weapons. As this science ramps up, it could be a cure or a curse. Could knowledge of epigenetics be used against humanity, perhaps as a weapon of unseen war or conquest? Could an epigenetic reaction to climate change actually help our descendants, perhaps changing human choices at a deep level? We are currently tracking toward a world warmer by 3 to 5 degrees C. Facing that disaster, I will grasp at any straw of hope. Ward’s 2007 ground-breaking book “Under a Green Sky” suggested a past mass-extinction could have been caused by a switch from oxygen-breathing sea life to sulfate-eating bacteria instead. That has recently been reinforced by a new study published in August 2018. I’ll be speaking with Professor Uli Wortmann from the University of Toronto about it. Ward still thinks ocean warming could trigger an existential risk. In 2006 I ran a speech by Doctor Frederica Perera from Columbia University. She monitored what pregnant women in Harlem were breathing. She found micro-pollution was visibly changing which parts of the DNA in their babies in the womb, a change of genetic expression. That is an example of epigenetics at work. You can find that show blog here with a link to listen to here speech. In April 2010 I recorded a public event in Vancouver with four experts, called “Epigenetics – genes develop through the generations. How experience modifies out genes.” You can get a lot out of that. It’s called “A Dialog in Epigenetics, How Does the Environment Get Under Our Skin”. You hear a panel of 4 experts moderated by Marie La Rose. You can download or listen to that program (the show was called “The Brown Bagger” on CFRO radio Vancouver) here. Here is a partial list of Peter Ward on Radio Ecoshock. Part 2 here. Part 3 here. SUMMARY: Coming up on Radio Ecoshock two heavy hitters. We have the expert on past mass extinctions, and maybe the present one, scientist Peter Ward. SHOW SUMMARY Washington University’s Peter Ward specializes in the 4 past extinctions from global warming. He’s appeared on TV, author of 14 books, and warns rising seas will change America forever. Someone turned my Ecoshock interview with Peter about his book “The Medea Hypothesis” (mentioned in this new interview) – into a Youtube audio clip. My thanks to pangeaprogressblog for doing that, with no ads! Archive Radio Ecoshock interview “Peter Ward Violent Climate Change” by Alex Smith. Publication date 2008-09-12. Listen or download here from archive.org. Our first interview, for the program September 8, 2008. I have a short speech you need to hear. Craven politicians all over the world deny or ignore the tragedy of wrecking the climate. 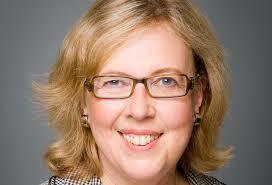 But in October, Canadian Green Party Leader Elizabeth May spoke the hard truth to the Canadian Parliament. You hear that 9 minute speech at the end of this program. We could only wish all our politicians could be so brave. Or at least, that they will hear her and turn toward climate action. Elizabeth led the Canadian Sierra Club for many years. She attended major climate conferences for decades. She has not given up, and still says we have a slim chance to save ourselves. For all my listeners: please continue to love life, all nature, and those around you. Take whatever action you can, tell anyone you can. Adversity can lead to liberating bravery. If there is a path out, that is it. Please tell others about this program, and cross-post it to your social media. These voices need to be heard. I need your financial support. It costs money to produce this program every week. I have no staff, but I do have to maintain a professional radio studio, pay bills for the phone calls, some pay-wall news services, and distribution costs. I have to hire some outside help for things like maintaining the Radio Ecoshock server, where people download free information from all over the world. That bandwidth costs money too – but we want anyone (students, poorer people in less developed countries, everyone) to get this essential information. It’s radio activism to save the climate and the planet’s lovely life. I also have to stay alive to put in the 40 hours a week it takes to do all this. The radio stations are all non-profits – they do NOT pay me anything for this program. I do this as a labor of love and duty to the future, but it should not cost me money or keep me too poor. This is listener-supported radio journalism for the environment. It only works if listeners support this show. Please consider if you can make a donation of any amount, or sign up as a $10 a month donor. That’s all easy using this page. I’m Alex Smith. Thank you for listening to Radio Ecoshock, and for caring about our world. There has been a report of overestimated ocean warming from Scripps. More importantly another report of a new discovery of a second “magneto in the sun which is now 180 degrees out of phase and will result in 50 some years of no sunspots and a “mini” ice age like in 1500 thru 1750. Please do a show on these new findings. 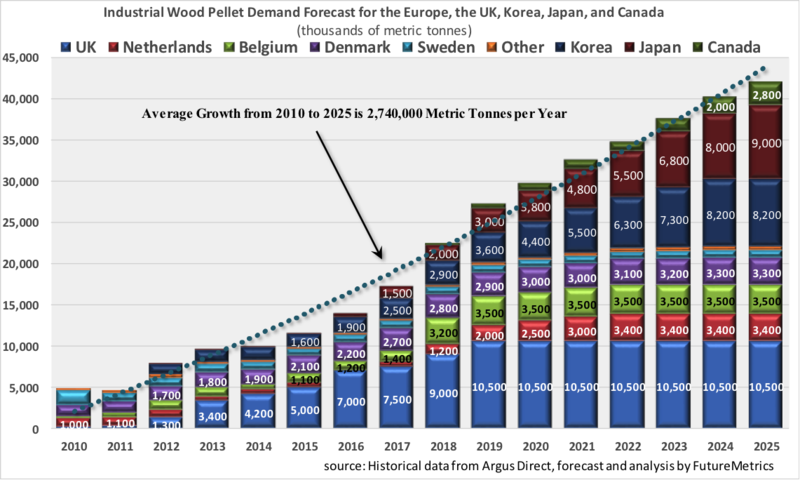 Whenever you see a world energy chart with the words “renewable energy”, nearly half that energy includes burning wood, corn, soy and palm oils. These emissions are not counted because the trees grow back in 50 years. 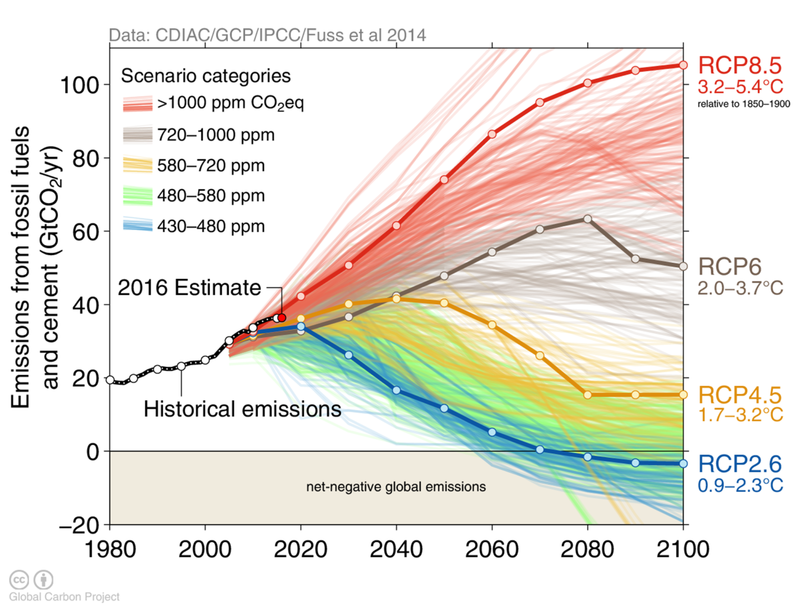 We don’t have 50 years to get emissions to ZERO. The socialist green energy programs in Europe are a fraud, big time. They are considered money laundering ops for big banks. Monkeys and elephants were killed to make the biofuel they burn in their German cars. Thy lie about emissions from cars and electrical production. The president of Greenpeace used to fly twice a day to work and home. By 2040, world energy use will go up 28%, in 21 years. 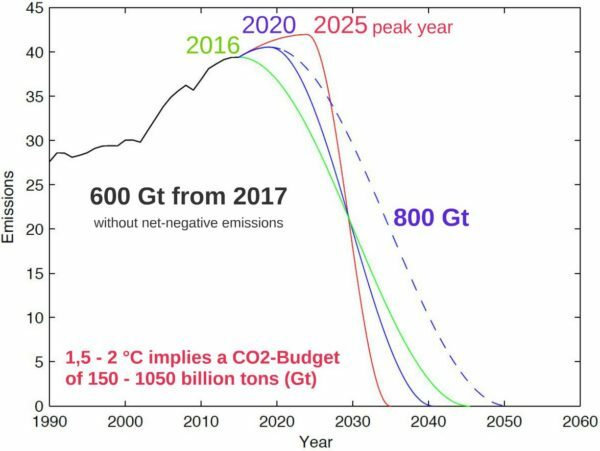 By 2040, world emissions must go down 100% to avoid 2° C.
(a Few Bucks)” – but that’s about it. Let’s not get all wishful-thinkingy here. Adversity breeds – well, suffering, pain, death of the poor, horrific inequality, those kinds of things come foremost to mind.